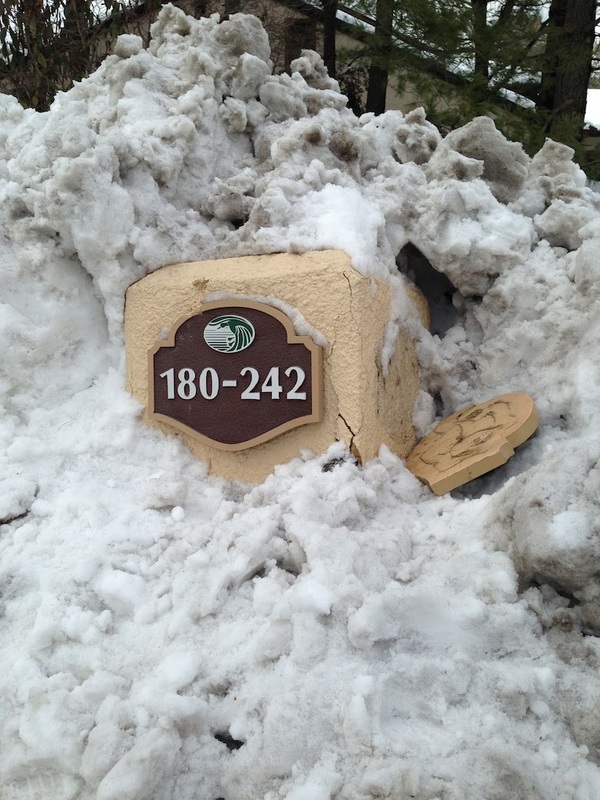 The address monument in Parcel 6 that we wrote about here has once again been pulled out of the ground and damaged by the snow plows from Longford Landscapes, Princeton Landing's snow removal contractor. Due to Longford's negligence, this monument, which was in good shape and repainted not too long ago, now has numerous cracks and breaks, exposing the wire mesh. One of the number plates has been broken off. 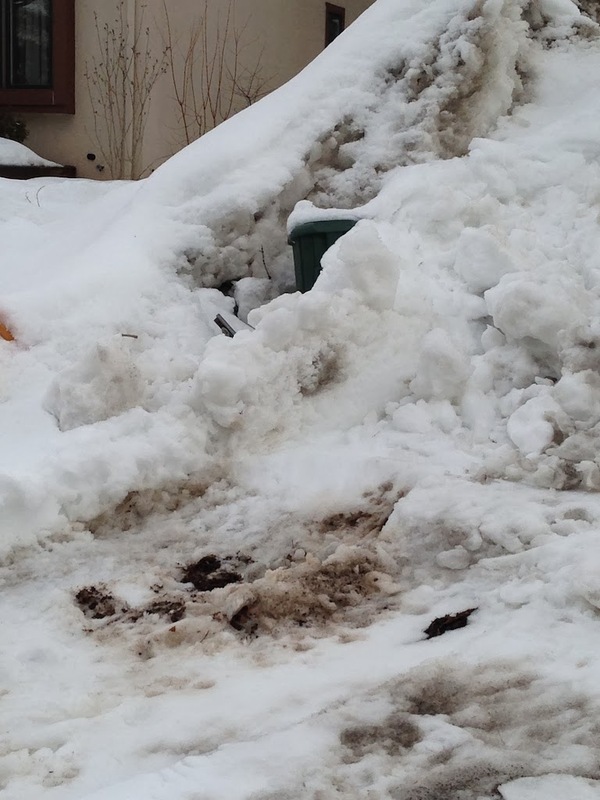 There's no doubt that digging out after snowstorms presents challenges. 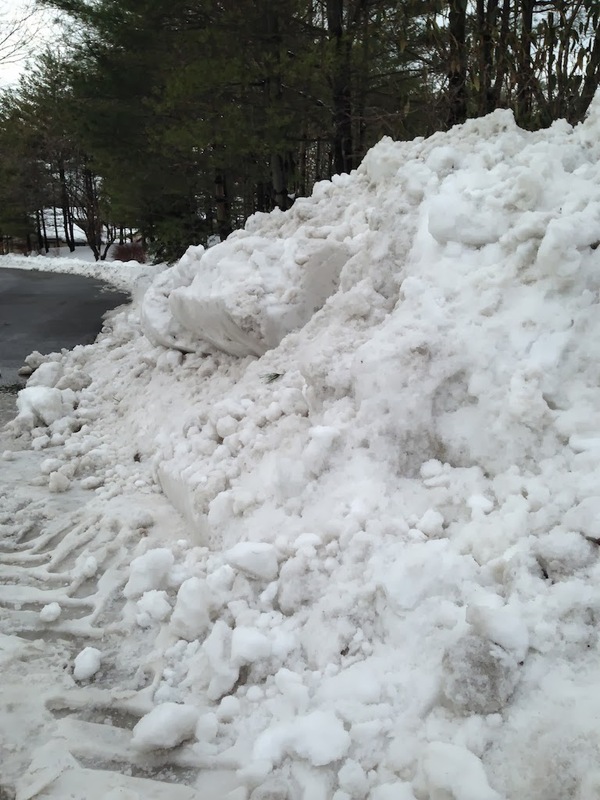 But there have been bigger snowstorms than the one we experienced yesterday and this level of destruction to property and landscaping is not something we experienced with our previous snow removal contractor, Shearer Penn/SavATree. The equipment being used by Longford is bigger, heavier and less agile than the fleet of smaller bobcats that Shearer Penn used, pictured here. The shrubs we discussed here were buried completely by Longford's snow plows. 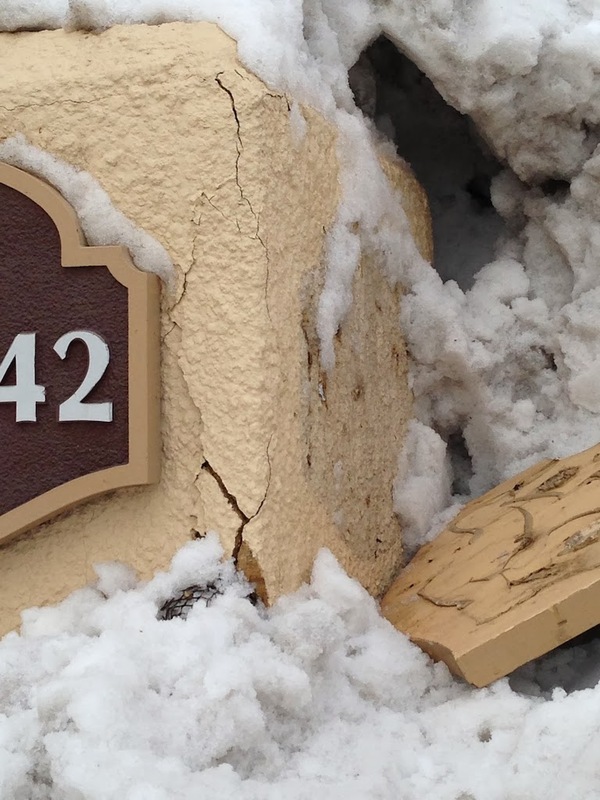 This occurred in spite of the stakes the contractor put in to mark their location, and in spite of homeowners informing management about snow being dumped here in previous storms. This is what the corner looked like this morning. The tips of one of the many shrubs are barely visible. The rest of the shrubs on the corner are completely buried under huge piles of snow. The opposite corner in Parcel 6 also had its problems. This submerged Verizon pedestal was knocked over by Longford's plows. Many homes had problems with their phone service for several days last week, until Verizon could come out to fix the damage. Longford Landscapes is the snow removal contractor that our management company presented as a replacement for Shearer Penn/SavATree to our present Board of Directors. In what was described as an effort to save money, our Board chose this contractor. 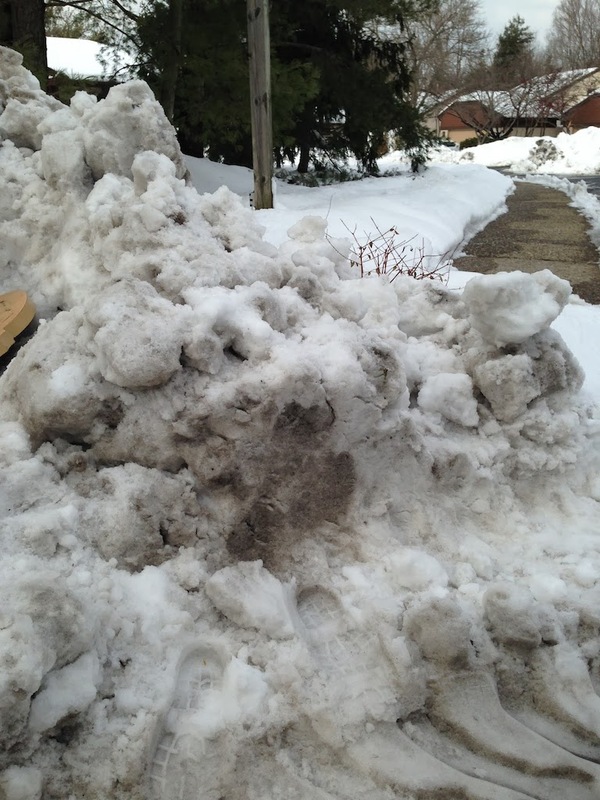 Now management's answer to these problems is to have Longford move snow from some areas to open space on the property. Well, the damage has already been done. And moving the snow will only do further damage. When will our Association learn that sometimes you get what you pay for? Labels: Directors, Landscape, Maintenance, Management Office, Parcel 6 Corner, Snow Removal, What Are We Paying For?